Tell us about your watch with our simple form. The more information & photos you share with us the more accurate the market valuation will be. If you like the quote you’ll receive a pre-paid shipping label including insurance. Face-to-face collection can also be arranged. Once we receive your watch our qualified watch experts will inspect its condition and authenticity. 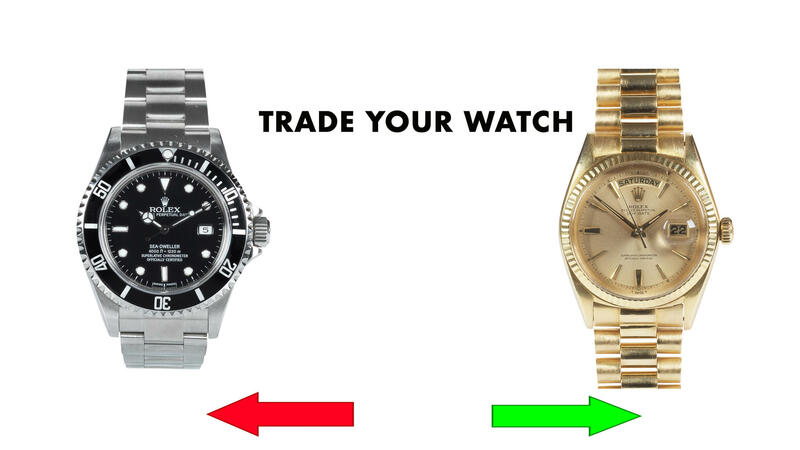 Once our team has processed your watch, you will quickly receive your credit. Whenever you’re ready, you can use your credit towards a new watch.